Brandon Williams, the Public Information Officer (PIO) of DEM is moving on in his career. Brandon worked tirelessly to improve communications not only with the public, but also within state agencies and among information officers. Brandon brought DEM’s information delivery into the 21st Century, utilizing both new technology and procedures. He championed that state agencies improve coordination of preparedness information, training, and exercises to deliver consistent messages to the public and lessen the burden on the local emergency management community. Brandon worked to establish joint information centers, regional information officer teams, and for inclusion of private partners in the PIO association. He leaves a firm foundation for DEM to continue to improve information delivery in Colorado. 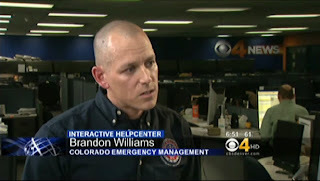 Everyone at DEM, the Department of Local Affairs, the emergency management community, the information officer community, and the citizens of Colorado says “Thank you, Brandon” and wishes him good luck in his continued career. 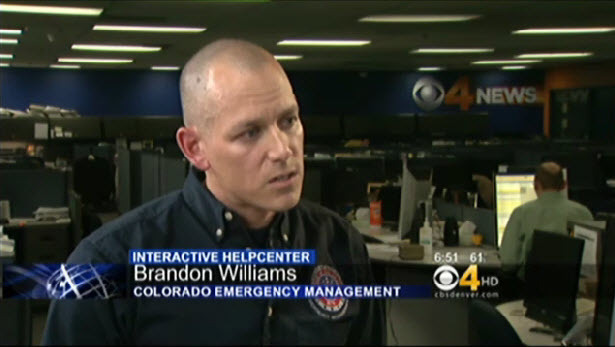 Brandon will continue to serve the Colorado community as a Public Information Officer within the Colorado Department of Public Health and Environment Prevention Services Division. He will increase public awareness on healthy living, a message close to Brandon's heart.